Dr. Sentinaro Tsuren holds an MA and PhD in English Literature from Nagaland University. She has presented papers in national and state seminars and has to her credit academic and research papers on her area of interest, which include Naga writings in English, cultural studies, comparative literature, oral tradition, marginalised/subaltern literature, postcolonial studies, Gender studies, interdisciplinary studies etc. She has co-authored a book entitled, Insider Perspective: Critical Essays on Literature from Nagaland. She has been actively engaged in cultural and native literature. She was the Former HOD of English Department and convenor of the Cultural Study Centre, Baptist College, Kohima, Nagaland University. 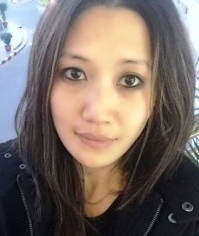 She is presently working as an Assistant Professor, Department of English, Baptist College, Kohima. She has been appointed as one of the Coordinators of FSLE-India for the Nagaland Region.